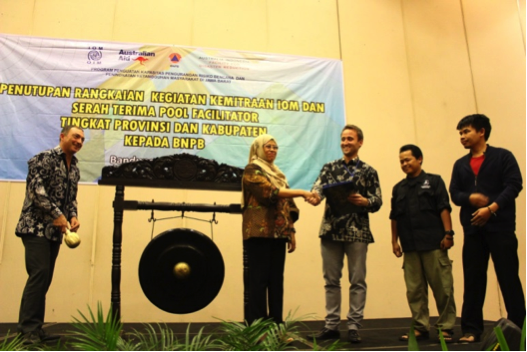 On 2 May 2014, an Australia-Indonesia Facility for Disaster Reduction (AIFDR) funded disaster management project in West Java officially closed but it is not the end. 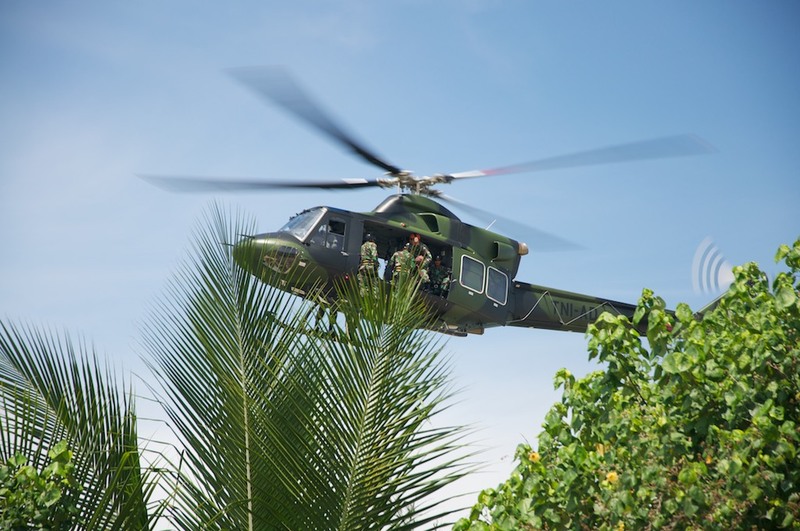 A team of Australian and Indonesian scientists have developed an earthquake and tsunami scenario used recently for a major international disaster response training exercise in West Sumatra, Indonesia. 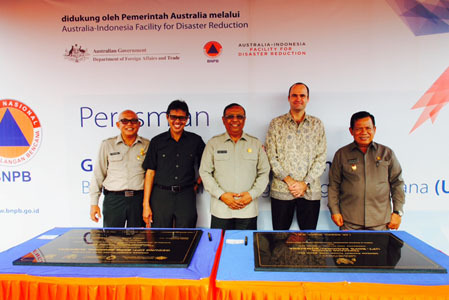 On 18 March 2014, Dr Syamsul Maarif MSi, Head of Indonesia’s National Disaster Management Agency (BNPB) officially opened an Australian-funded disaster management training and logistics centre, called the UPT-BNPB in Padang, West Sumatra. Pictured left to right: Jon Burrough, AIFDR Co-Director; Iwan Gunawan, World Bank; Dr Syamsul Maarif, Head of BNPB; Mr Jean-Bernard Carrasco, Australia’s Minister Counsellor for Development Cooperation. 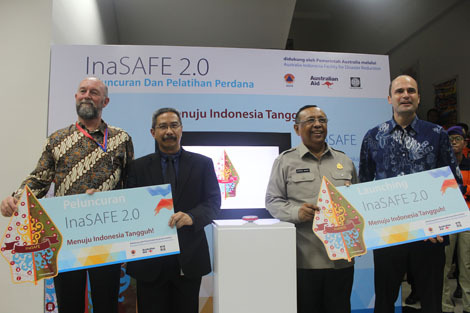 A new version of software that can predict the social and human impact of natural disasters was released in Indonesia on 7 April 2014. A team of Australian and Indonesian scientists have developed an earthquake and tsunami scenario used recently for a major international disaster response training exercise in West Sumatra, Indonesia. Additional computer hardware support by HDRG. The Australia-Indonesia Facility for Disaster Reduction (AIFDR) is a joint initiative between the governments of Australia and Indonesia. We work in partnership with Indonesia's Disaster Management Agency (BNPB) to strengthen Indonesia's ability to reduce the impact of disasters. © 2014 | AIFDR | All Rights Reserved.